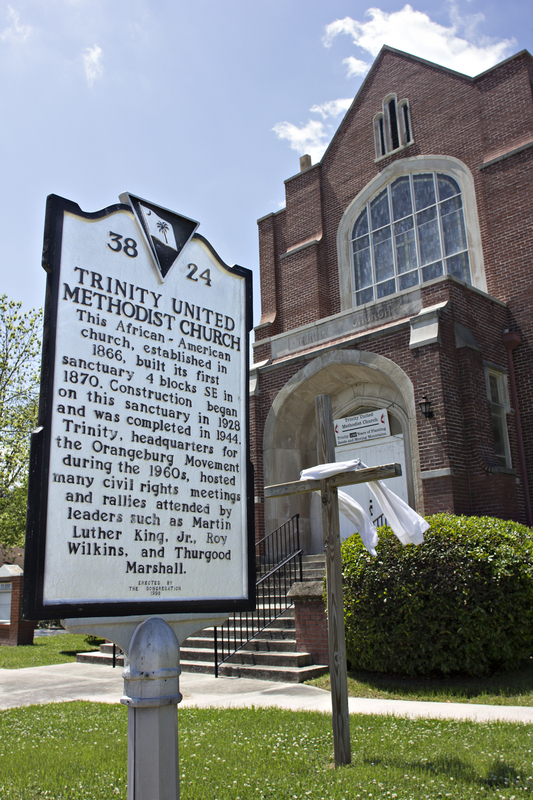 Trinity Methodist Episcopal Church, now Trinity United Methodist Church, was founded in 1866 by Methodist ministers. It was formerly located on the present Courthouse Square. Present Gothic architecture structure was designed by W.W. Wilkins, SC State College faculty member, under the supervision of Miller F. Whittaker. Construction began in 1928, and was completed in 1944. Civil rights meetings and rallies were held during the 1940s-1960s, with local, state and prominent national leaders, Roy Wilkins, Martin L. King Jr. and Thurgood Marshall. Trinity was named to the National Register of Historic Places in 1995.